It all started with a daughter’s request to decorate their house for the holidays. 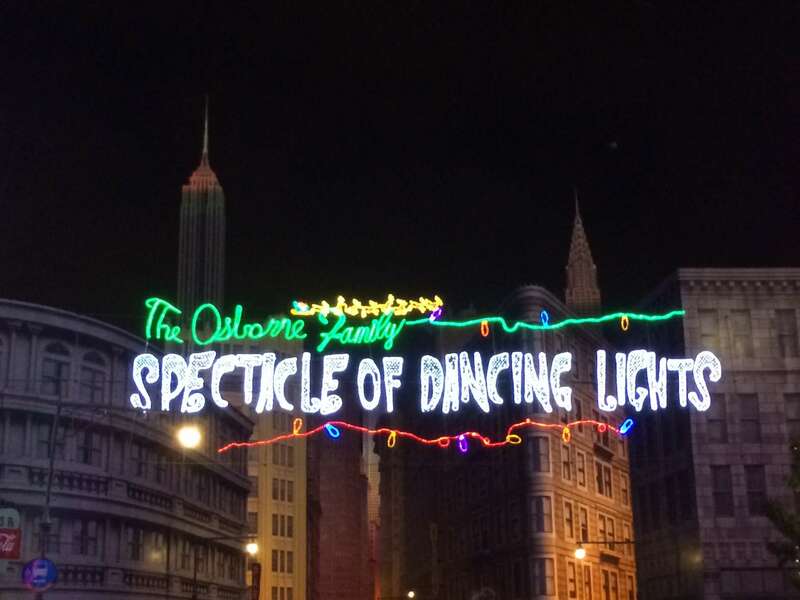 Over the years, the Osborne Family light display grew & grew to become a famous, well, spectacle. Walt Disney World is now the permanent home for this display. They have, of course, added a little magic of their own & the result is astounding, amazing, & awe-inspiring! Throughout the Streets of America at Disney’s Hollywood Studios, literally millions of lights will adorn every possible surface. 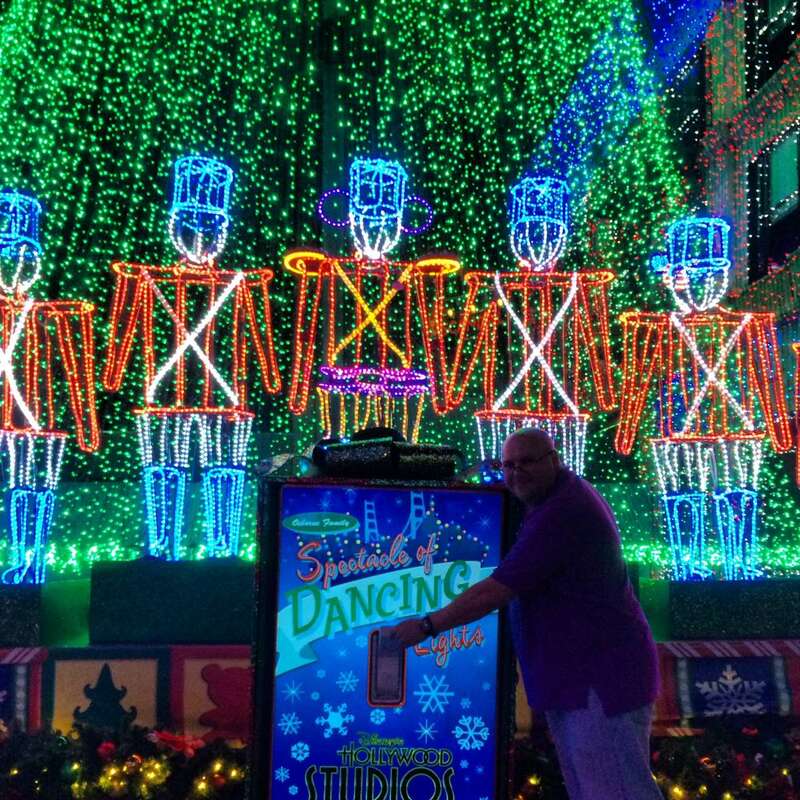 And if that wasn’t enough, every 15 minutes the lights will dance in a dazzling display specially choreographed to an amazing soundtrack of holiday music. Hidden Mickey’s abound throughout the display. For added enhancement, wear your glow with the show ears & become a part of the dancing!! This year the lights will begin on November 7, 2014 & continue until January 4, 2015. 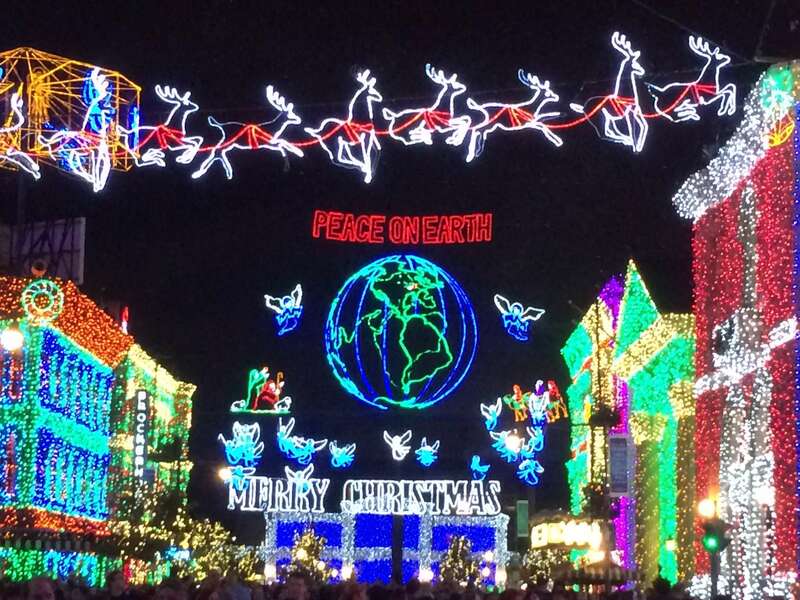 The light display usually begins around dusk & continues until park closing each night. See your times guide for exact times. The display is free with park admission. This display is one of my favorites & I’m glad to see it back again this year. What do you enjoy during the holidays at the Walt Disney World Resort? Comment below & let us know!! Previous Post Have you secured your 2015 vacation yet? Next Post Snacking Your Way Through The Magic Kingdom!